It is the responsibility of you, the student or guest, to resolve any and all questions concerning any of the terms and conditions listed in this agreement prior to the date of the Prom. If you and/or your guest fail to meet any of the terms or conditions listed in this agreement, you understand that you and/or your guest will be required to leave the event and that no refund of the ticket price will be issued. Students that have been assigned to AEP or OSS (suspended) during the 2018-19 school year will not be allowed to attend. Any student with more than 5 ISS days, starting from Jan. 15, 2019 through April 5, 2019, will not be allowed to attend. Students may not have more than 10 days of lunch detention starting Jan. 15, 2019 through April 5, 2019. Students attending may not owe any make up hours by April 5, 2019. There will be no re-entry to the prom. Once you and/or your guest enter the facility and relinquish your ticket(s) to the event, you and/or your guest are prohibited from leaving and re-entering the facility. 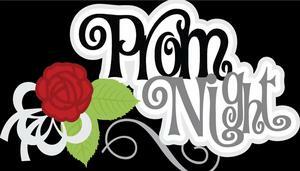 The doors to prom will be closed at 9:00 pm. Any student or guests arriving after 9:00 pm will not be granted admittance. Students 21 and over will not be allowed to attend. Outside guest must be currently enrolled in a High School or enrolled pursuing a higher education. Students enrolled in a college/trade school must provide a school ID AND a verification of enrollment for the current semester by the registrar's office. There will be no exceptions whatsoever, even if school personnel at the event recognize you and/or your guest. All guests must have a pre-approved signed guest request form with a copy of school or photo ID on file. The following dress code is applicable to all students and guests who wish to enter the Prom. All guests must comply with all school and Code of Conduct requirements. If you have questions concerning your dress, it is your responsibility to seek prior approval from administration. Any questions regarding dress should be resolved by Friday, March 29, 2019, at 3:00 p.m. Student or guest that fails to meet the following conditions will be denied entry to the event. Dress pants, dress shirt, dress shoes & boots. A tie and jacket are strongly recommended. Jeans will be permitted but absolutely no torn, frayed, or holes in jeans will be allowed. All pants must be securely worn around the waist. No steel toe or work boots will be allowed. The principal’s/designee’s decision is FINAL. The outfit may not be made of see-through material. Strapless dresses are allowed. Open styles are allowed but need to cover the lower back area. All dresses must completely cover the midriff area. Dresses showing ANY of the midriff areas, sides included, will not be permitted. Front necklines shall not be lower than a line formed between the right and left armpit. This guideline governs cleavage and the principal’s/designee’s decision is FINAL. The dress length and all slits cannot exceed more than four inches above the knee. Students dressed inappropriately will be turned away at the door. Adjustments made at the door or during the dance can be used as solutions for violations of the dress code, but if these cannot make the attire acceptable, the student(s) will be asked to leave the dance. The principal’s/designee’s decision is FINAL. Students are not allowed to re-enter the dance upon leaving. Once you have left the dance, you CANNOT, under any circumstances re-enter. Students must vacate the premises within 15 minutes of the dance ending. Student attending must not owe any class dues or fees to ANY organization/extra-curricular/dual credit. In the event that a situation arises and damages occur to the Dimmit County Conference Center, the student and/or parent will be held responsible for damages and repairs. The student and/or parent will be responsible for making arrangements with the Dimmit County Event Coordinator to cover the cost.